Wedding ceremony happiness shows in the faces of this delightful couple! Happiness is catching and there were smiles all round as these long-term friends tied the knot at their wedding. Andor and Terez are lovely people who are very welcoming and quickly make people feel at ease. This couple enjoy a relaxing atmosphere among friends and family, including their beloved pets. 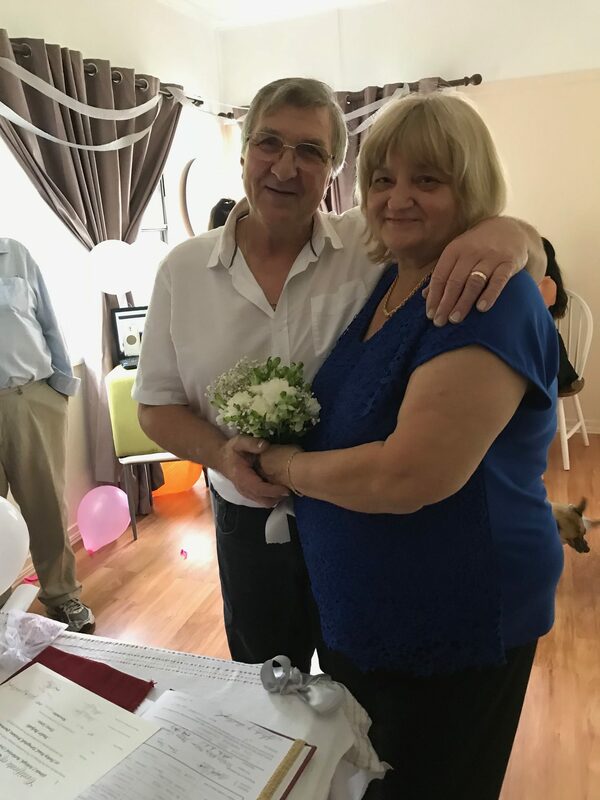 Guests gathered for their delightful and relaxed wedding ceremony at Andor and Terez’s home. Excitement and love was in the air as everyone made ready for this very special occasion. Wedding decorations in the front room set the scene. Just perfect for an intimate and personal wedding ceremony. Simple, and heart-felt words that express their feelings in a natural way gave their ceremony a very personal touch. Misty eyes were the order of the day as Andor and Terez made their marriage vows to each other. Family members got the ‘technology’ going and music was in the air and even some singing! Smiles on faces all round, not to mention the happy wagging of tails of the four-footed guests! A delightful and happy wedding ceremony for a delightful couple. I loved planning this wedding ceremony with its simple, yet elegant touches. I also loved the looks of delight as I presented the special wedding keepsakes that I made just for them! What did you and your guests particularly enjoy about the ceremony? The ceremony was very familiar with a nice atmosphere. Overall, how would you rate your experience with Glenda as your Celebrant? Excellent. What would you tell other people about Glenda? Just, call her, she’s very friendly. 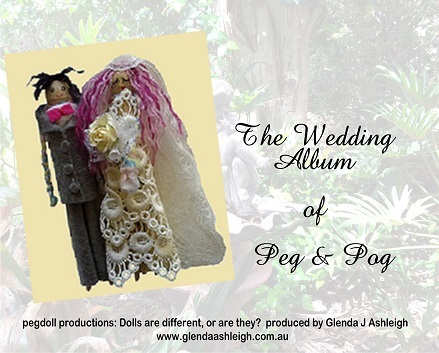 Contact Glenda Ashleigh for your delightful wedding ceremony.